A “much needed” new medical centre is to be built in Marston Green, despite fears that the scheme could set a dangerous precedent for green belt development. Solihull Council’s planning committee has this week given unanimous approval to plans to demolish Oliver House, in Ivy Lodge Close, and erect a purpose-built facility, bringing various services under one roof. 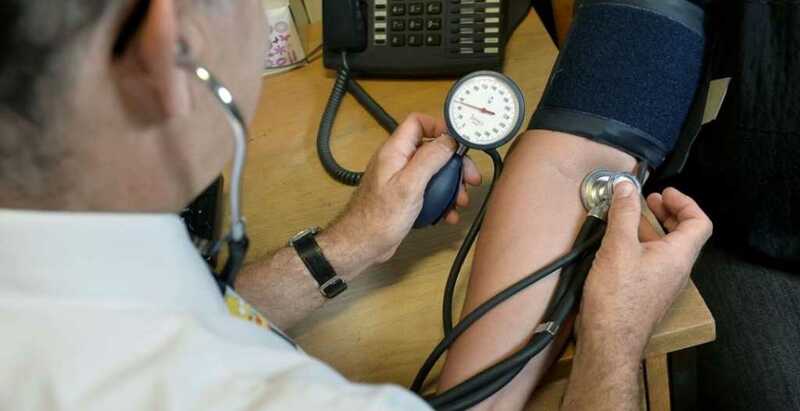 Local GP Dr Victor Sagoo had said that the current doctors around the corner was “not fit for purpose” and the failure of the proposals put before planners could force the practice to move out of the village – leaving it without a surgery. Bickenhill and Marston Green Parish Council said it understood the pressing need for improved health facilities, but had serious concerns about the scale of the building and the loss of green belt land. However, councillors accepted their planning department’s advice that the urgent need for an up-to-date facility for local patients tipped the balance and they rubber-stamped the plans. Dr Sagoo – who has worked in the village for 17 years – had argued that the present practice, in nearby Chelmsley Lane, could not meet demand. He said that the site was struggling to provide the services required by the NHS and didn’t have the space to treat a growing register of patients. “It’s not fit for purpose and is highly reliant on on-street parking which we know is frustrating for our neighbours,” he said. “We have been at full capacity for a number of years and with two neighbouring GP practices having closed down recently due to NHS pressures we have had to take on additional patients from far and beyond Marston Green’s catchment area. “The application before you this evening is no passing whim or flight of fancy, we have been looking for land for the last ten years to build a much-needed new surgery. The centre will include 17 consulting rooms, an on-site pharmacy, gym and self-service cafe. It is estimated that the scheme will create more than a dozen new jobs. A community information day was held last August and GPs said around 97 per cent of the written responses supported the proposals. Richard Cobb, speaking on behalf of the parish council, said it was widely recognised that the Chelmsley Lane practice was “very restricted”, but there were concerns about the impact of the new centre – said to be four times the size of the current premises. “The very special circumstances which have been put forward by the applicant should not disguise the fact that this proposal intrudes significantly into the vital wedge of green belt open land,” he said. Cllr Richard Holt (Con, Blythe), who previously lived in the village, said the plans were an opportunity to create a “state-of-the-art” facility. “Looking at it – ultrasound, x-rays, scanning, orthotics, ophthalmology. It’s something to be proud of. “Yes, I am a great defender of the green belt, I really do feel we have to protect it. Cllr Diana Holl-Allen (Con, Knowle) said she “wholeheartedly” supported the plans and that the new generation of medical centres were helping meet the increasing challenges facing the NHS. A similar health centre was officially opened in Balsall Common in 2012, on the back of concerns that the current surgery had become cramped and outdated.